Wanna One's�Park Woo Jin talked about how his sister only cares for BTS. However, Park Woo Jin said, "But she did tell me she has it easy at school thanks to me." 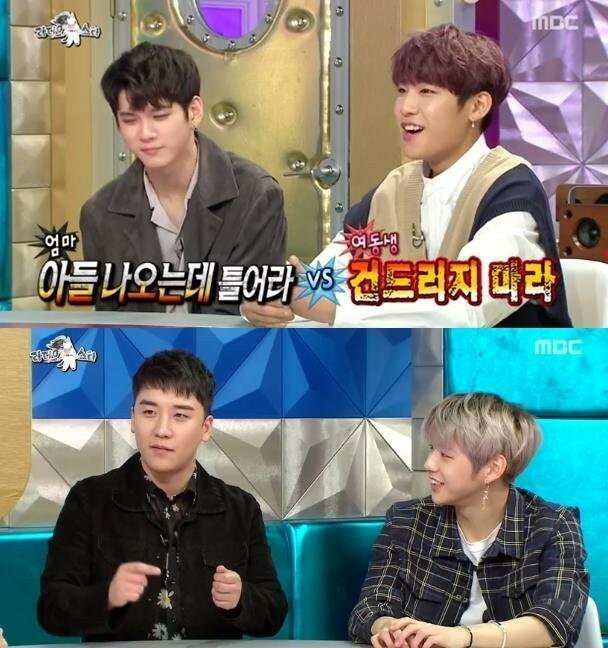 The MCs commented, "It's because she sees you all the time at home", and Seungri�also said, "My sister has a trauma about being Seungri's dongsaeng. She hates it."